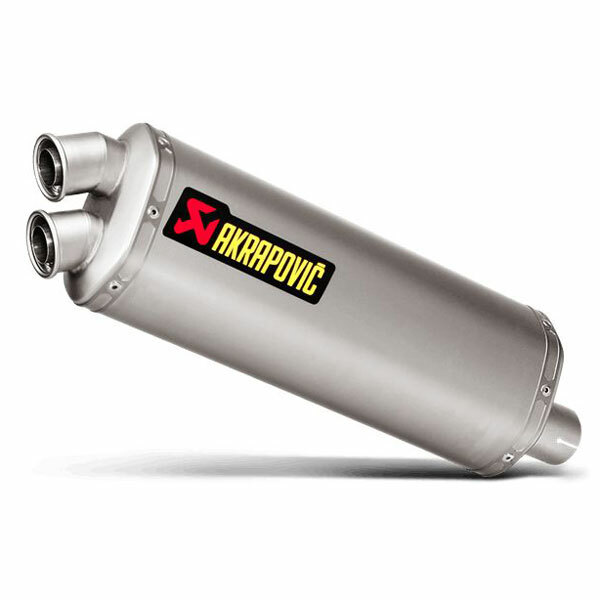 This Slip-On Line exhaust is manufactured to withstand the harshest of conditions and has been developed from Akrapovic’s winning involvement in cross-country rallies. Offered alongside the EC/ECE type-approved system for the Africa Twin, this superbly designed and finished exhaust has an even deeper sound that creates a stunning sound as the throttle opens and the revs rise. Manufactured with a unique combination of a hexagonal shape and a more classic rear endcap, this double-flow muffler is finished in durable titanium and supplied with a robust carbon-fibre clamp to cope with the extreme conditions it is designed to face. Delivering performance increases throughout the entire rev range this exhaust makes the most of the Honda’s thumping twin-cylinder engine. An even greater power increase can also be achieved with the addition of the optional stainless-steel headers to take the performance to higher levels. Exhaust system is compatible with Honda side cases and central stand.